1. What are the different types of accounts that an NRI can open in India ? 2. Can an NRI maintain multiple accounts with different banks in India, simultaneously ? Ans. : Yes, there is no prohibition to open and maintain multiple accounts a/cs. 3. Can an NRI open joint accounts with one or more NRIs ? 4. Can an NRI open joint accounts with residents ? Ans. : Yes NRIs can open Joint Account with Resident Close Relative as defined in Companies Act 1956, Section 2(41) and Section 6 and in terms of RBI circular dated 22/09/2011. 5. Should all the NRI desirous of opening joint accounts be residing in the same country ? Ans. : No, they can be residing in different countries, also. 6. Can NRI accounts be opened from abroad also ? Ans. : Yes.An NRI Can also open accounts from abroad by sending duly filled and signed AOF duly attested by Indian Consulate along with attested copies of passport and Visa, etc. 7. Can an NRI open an account with Zero balance ? Ans. : Yes, an individual taking up an employment, business, vocation etc. can complete the account opening formalities prior to going abroad with zero balance. Subsequently, he must remit funds to make the account operative within a reasonable time, whereafter only cheque book will be issued. 8. Can an NRI give Power of Attorney to a resident to operate his accounts and for making investments on his behalf ? Ans. : Yes, an NRI can appoint a Power of Attorney holder to make local payment from his NRE / NRO a/cs. and also investments on his / her behalf. 9. What are the restrictions imposed on the Power of Attorney ? Repatriate funds from a/c. in the form of DD/TT etc.., unless specified in P.A. Transfer funds to NRE accounts other then that of Principal�s. Cannot raise loans/execute documents on behalf of NRI. 10. How much foreign currency (FC) can an NRI bring along with him on his/ her visit to India, without custom declaration form(CDF) ? Ans. : An individual NRI can bring USD 10,000/- or equivalent (in the form of FCTC/FC)of which maximum USD 5000/-can be in the form of currency notes without declaring the same in CDF.Any amount in excess of the above limits needs to be declared in CDF to the customs.The balance amount or even the entire amount can be in the form of TCs. 11. Can a relative/P.A. holder or other resident deposit such FC on behalf of the NRI ? Ans. : No, the NRI has to come personally alongwith his/her passport for depositing to FC/FCTCs. 12. Can an NRI deposit local funds into NRE account ? Ans. : No, only credits coming from abroad in the form of DDs/TTs/MTs/FCs/TCs etc. can be deposited in NRE a/c. Local money has to be credited to NRO account of an NRI. 13. Is interest earned on NRE/NRNR/FCNR/NRO a/cs. taxable ? Ans. : No tax is applicable to interest earned on NRE/FCNR & NRNR a/cs. However, interest earned on NRO a/cs. is subject to TDS as per extant guidelines. 14. What is the rate of TDS on NRO accounts ? Interest earned beyond Rs. 10 lacs TDS @ 33.99% inclusive of sur-charge. However, applicability of TDS is subject to Double Taxation Avoidance Agreement (DTAA) that India has entered with many countries. 15. Is interest on NRO account repatriable ? Ans. : Yes, interest earned on NRO a/cs. 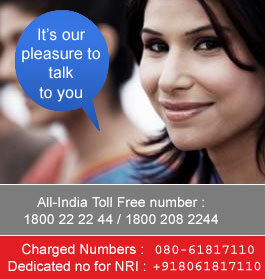 can be repatriated or credited to NRE/FCNR accounts subject to payment of tax. 16. Can proceeds of FCNR be withdrawn in Foreign Currency/FCTC ? Ans. : NRI can withdraw upto USD 2000/- in currency notes and balance in TCs or the entire amount in TCs/Drafts or TTs. 17. Are there any charges while remitting the FCNR proceeds abroad ? Ans. : No.commission is levied while remitting such proceeds on maturity. 18. If the NRE/FCNR/NRNR deposits are withdrawn before the maturity date, what will be the loss ? Ans. : If the deposit has not run for the minimum maturity - No interest. Otherwise, the interest at the rate applicable for the period the deposit has run will be paid. 19. Can the NRI deposits be prematurely extended to get benefit of higher interest ? 20. What is the interest rate on loans against FCNR to the depositors himself and to third parties ? Ans. : Please contact your nearest branch for current rates. 21. Can loans against NRE/FCNR be repaid from local sources ? 22. 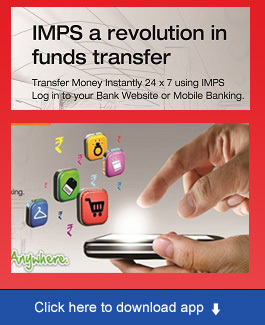 Does your Bank issue FCNR(B) Receipts instantly on presentation of Foreign Currency/TCs/draft and cheques ? Ans. : Yes, In case of presentation of foreign currency, TCs and drafts, FCNR(B) receipts are issued on the same day itself.However, premature closure of such deposits or loans there against will be permitted only on realization of instruments deposited for creation of deposits.In case of personal cheques, however, FCNR(B) receipts are issued only after realization proceeds, i.e. after sighting credit in our Nostro Accounts. 23. Can FCNR(B) receipt be issued against Rupee Draft purchased from Exchange Houses with whom UBI has Rupee Drawing Arrangements ? Ans. : Yes However, the value date of the FCNR(B) receipt will be date of conversion of the Rupee funds into FC. In case of NRE deposit created out of the proceeds of such drafts, value date can be given as of the date of the draft. 24. Will the Bank renew our NRE /FCNR(B) deposits automatically ? 25. Is nomination permitted in NRI a/cs? Ans. : Yes, NRIs can nominate either a resident or a non-resident as Nominee. However, only one nominee is permitted per account. Nominee can also be a minor in which case, guardian has to be appointed to receive payment on minor's behalf. 26. What are the formalities in death claim settlement? 27. What are LEG formalities ? Ans. : The NRI nominee has to submit an application in form LEG along with the death certificate.This compliance is required only if the deceased account holder was an NRI at the time of death and the nominee also continues to be an NRI at the time of filing the claim. Further, the nominee has to give suitable declaration duly signed and witnessed by all the legal heirs of the deceased NRI.On completion of these formalities, the Bank will credit the amount of deposits to the nominee's NRE / FCNR account or repatriate it abroad as per instructions. Cases not conforming to the above need prior approval of RBI. 28. Can NRI invest in immovable properties on repatriation basis ? Ans. : Yes, Repatriation benefit is available for 2 residential houses. The purchase should be out of funds remitted from aboard or out of NRE/FCNR a/cs, in accordance with the provisions of FERA/FEMA. 29. Can NRI invest in immovable Proprietory/Partnership concern ? Ans. : Yes, NRI can invest in capital of proprietory and partnership firms engaged in manufacturing, commerce or trading activities on a non-repatriation basis. 30. Can NRI invest in shares/debentures of Indian Cos., and other securities on a non-repatriation ? Ans. : Yes, NRIs can invest without any limit on non-repatriation basis in shares and convertible debentures of Indian Cos., issued either by public issue or private placement or right issues. NRI can also purchase on non-repatriation basis dated Govt. Securities (other than bearer securities). Treasury bills., units of domestic mutual funds, units of money market mutual funds . 31. Can NRIs invest in Govt. Securities etc. on repatriation basis ? Govt. dated securities (other than bearer sec), Treasury bills and units of domestic Mutual funds. Shares in Public Sector Enterprise disinvestments by Govt. of India. Fund for such investment are to be received through foreign inward remittance or to debit of NRE/FCNR a/cs. The above securities can be sold through stock brokers on a recognized stock exchange or tender units of mutual funds to the issuer for repurchase or for payment of maturity proceeds or tender Govt. dated securities/Treasury Bills to RBI for payment of maturity proceeds. The sale proceeds can be repatriated net of Indian Tax. 32. What are the rules pertaining to investments by NRIs in shares and debentures of Indian Cos., on repatriation ? Upon disinvestments, on a recognised stock exchange in India through stock broker at ruling market prices, the proceeds can be repatriated net of Indian taxes. 33. Can NRI place deposits with companies on repatriation basis ? Ans. : Yes, provided the company accepts the deposits under public deposit scheme for period not exceeding 3 years and has obtained necessary ratings etc. 34. What happens to accounts of the NRI on his/her return to India ? Ans. : A returning Indian's NRO accounts will be designated as Resident account. However, NRE/FCNR term deposit accounts may be permitted to continue to run till maturity. 35. Is a NRI subject to tax after returning to India ? Ans. : Yes, NRIs earnings are subject to tax laws of the country. 36. Can a returning Indian maintain Foreign Currency account ? Ans. : Yes, the returning NRI get his NRE,FCNR a/cs converted into RFC a/cs on maturity. 37. Who can open RFC account ? Ans. : A returning NRI who was resident outside India earlier and are returning now for permanent stay are permitted to open RFC account. 38. What are the benefits of RFC accounts ? Ans. : The benefits of RFC accounts are: In case of conversion from FCNR(B) accounts there is no exchange loss. Balance in RFC account can be used for local payments and can be remitted abroad for all bonafide purposes. In case the NRI was residing abroad continuously for a period of 9 years out of previous 10 years, then there will be no tax on interest earned on RFC accounts for next 2 years. In the event of the returning Indian regaining NRI status, the balances in RFC account can be reconverted into NRE /FCNR(B) deposits.